First, decide on which category your business belongs to. 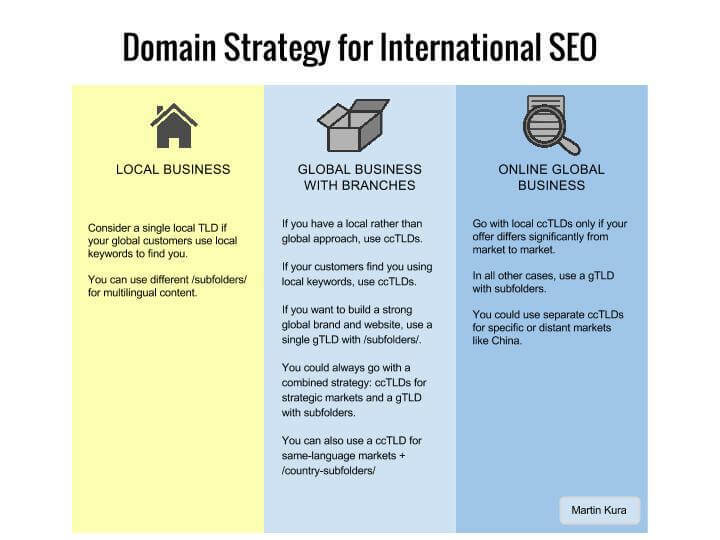 Consider a single local TLD if your global customers use local keywords to find you. For example “universities in Munich” or “Chinese restaurants in Paris”. You can use different /subfolders/ for multilingual content. If you have a local rather than global approach, use ccTLDs. Typically, a local approach may be applied when you deliver goods to local customers or deal with local issues. If your customers find you using local keywords, use ccTLDs: e.g. “car service in Prague”. If you want to build a strong global brand and website, use a single gTLD (like .com, .org, .net etc.) with /subfolders/. 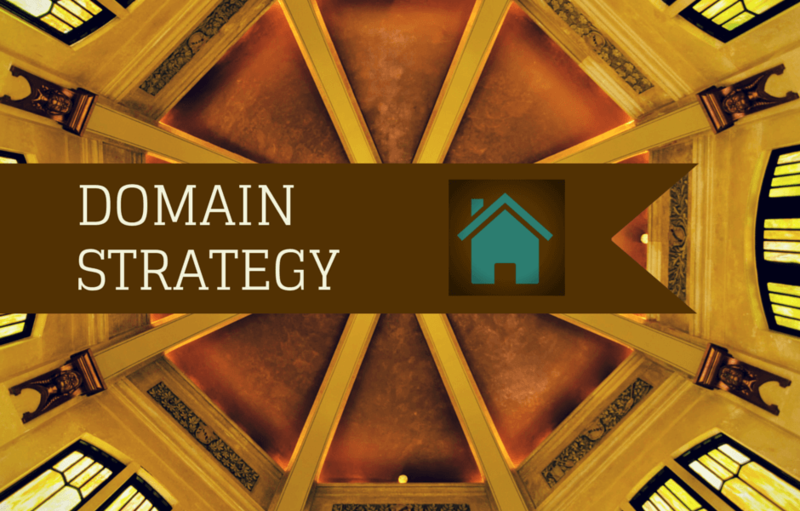 You could always go with a combined strategy: ccTLDs for strategic markets and a gTLD with subfolders. You could even use a common ccTLD for same-language markets: e.g. a single .DE domain for Germany, Austria and Switzerland with /country-subfolders/. Go with local ccTLDs only if your offer differs significantly from market to market. In all other cases, use a gTLD with /subfolders/. You could use separate ccTLDs for specific or distant markets like China. Running multiple ccTLDs takes more time and effort, while the results on a local scale are usually better. On the other hand, running a single TLD (whether a ccTLD for a local business or a gTLD) and using subfolders helps build a strong global website. If you use all geo-signals properly, the subfolders may still rank very well locally. Like what you read? Share it with your friends or leave me a comment!